If you have been in the sun too long, plant power can come to the rescue: aloe vera gel and nettle extract provide skin that has seen a little bit too much sunshine with soothing care. Why are these two plants so good for our skin and what can we learn from them? Aloe vera (Latin name: Aloe barbadensis) is a true survivor. This succulent of the lily family thrives in the otherwise hostile deserts of North Africa and Sudan, for example. With its thick, watery leaves it is a total contrast to its dry, warm habitat. Aloe vera offers hydrating care for skin, protects against dryness and rebalances. 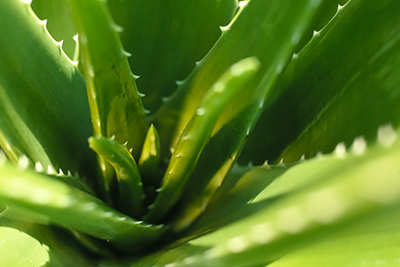 The power of aloe vera rests within its leathery, pointed leaves. Its leaves, which have short, jagged tooth-like edges, are composed of three layers. The inner, thickest layer consists of a colourless gel. It is sterile, pH-neutral, soothing and cooling to the skin. When the skin loses its healthy moisture balance in extreme heat, aloe vera proves itself to be a master at restoring the skin’s natural balanced state. Water alone could not achieve this, as it would cause the skin to swell and then ultimately dry out. 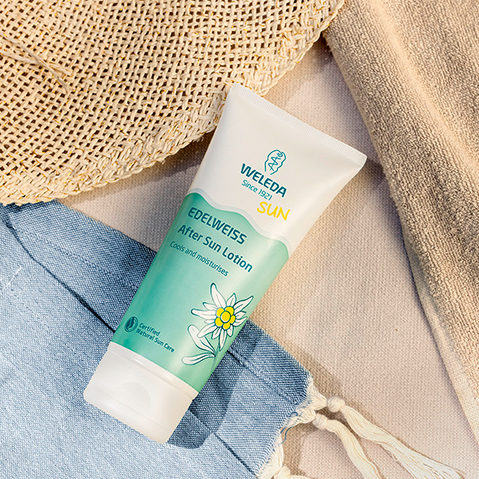 In order to obtain the valuable gel of organically grown aloe vera for our Weleda After Sun Lotion, the outer layer of the harvested leaves is first peeled off, as it contains substances that could potentially prove irritating. Only the inner fillet of gel is processed, which is pressed and filtered. In our After Sun Lotion, aloe vera gel provides a pleasant cooling effect and restores the skin’s natural moisture balance after sunbathing. Many people are already familiar with the unpleasant stinging sensation caused by touching the hairs of the small nettle (Latin name: Urtica urens) and its cousin, the large stinging nettle (Latin name: Urtica dioica). 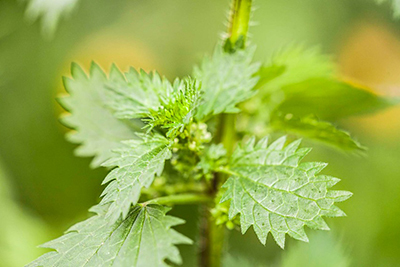 And yet it is this very same small nettle, an otherwise inconspicuous plant that grows in gardens and meadows, which can help us, if our skin has been exposed to too much sun or tormented by insect bites. In order to understand the benefits of the small nettle, it’s best to compare it with the large nettle. The small nettle, an annual plant that grows to a height of only 50cm, surprisingly stings much more than its larger cousin. Every plant has both male stamens and female pistils. It carries both separately – the female flowers at the top and the male flowers below – but usually they do not bloom at the same time. The large nettle, on the other hand, grows up to two metres high and is perennial, spreading with the help of its extensive underground root network. There is a clear difference between the male plants, with stamens, and female plants, where the fruits grow. A comparison of these two species reveals that everything is much more concentrated and condensed in the small nettle than in the large nettle.